ABOUT US ship your boxes air freight forwarding moving? order container vehicle transport boat shipping roll on - off shipping road and intermodal forwarding special cargo rate requests cargo tracking document center smart links references customers worldwide other moving from hungary GALERY usa purchase assistance? Our offer to you is to schedule shipping service, using shipping containers. Please allow us to provide suggestions and recommendations in terms of which shipping methods would be the best to ship your cargo. There are two ways to understand container loads. FCL - Full Container Load. LCL - Less than a Container Load. - FCL means, you will be the owner of the full load/cargo inside a container. 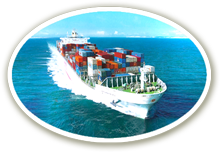 - LCL means, you are sharing the container space with other cargo s owned by other shipper. The most popular containers available are 20 feet standard, 40 feet standard, 40 feet High Cube. We also can offer you all types of special equipment’s such as Reefer, Flat Rack, Open Top, 45 feet High cube. After your cargo carefully planned into a container with the right equipment will suit your needs. We can offer you two ways to load the cargo into the container. - Your cargo will be transported to our loading warehouse, and our professional crew will load and secure the goods. With national trucking network service we can have your cargo picked up and delivered to our warehouse. Vehicles, Boats, House-hold goods, Boxes, Pallets, ETC. - The container will be moved to your preferred location and you are responsible for the loading progress with your own man power. This can be anywhere in the USA, including all major cities or any remote locations. With our trucking company's drayage network we can arrange exceptional container delivery to your loading location. Please click below link to give us the request of shipping your vehicles or cargo.